Up to 50% Off parking with Unlimited Season Tickets at Q-Parks Hassle free parking with Q-Parks Unlimited Season Tickets. 7 days a week, 24 hours a day! and saving up to 50% on the daily rate. Earn 10% and More Cashback with Rewards App Bookings at Q-Park More benefits than ever with the Q-Parks Rewards app. Get the app now and start earning! It’s coming up 20 years that Q-Park has been offering premium parking locations in the city centre for affordable prices. 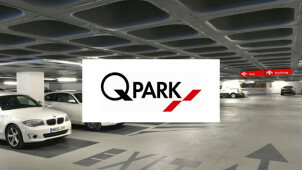 With over 800,000 parking spaces in Europe, Q-Park is one of the top providers in the market. Based in The Netherlands, Q-Park offers garages and spaces in over 10 different countries in Europe. With all their car parks securely fitted with CCTV cameras and regular patrol units and hosts, you don’t have to worry about the security of your car as it waits, or your personal security coming to and from your car. And with vehicle entrance speed gates you can be sure that the only people driving in are placeholders, and that you’ll never be dragged into one of those petty parking space tiffs. Q-Park is committed to providing access and availability for a variety of different needs, and they work hard to guarantee that all car parks are disability accessible and have reserved bays for Blue Badge Holders. With lifts and automatic doors fitted in almost all of the parking facilities on offer, use a Q park promo code to see how Q-Park aims to accommodate every possible parking need to ensure you have comfortable and easy beginnings and ends to all of your journeys. How do I use my Q-Park Promo Code? The Unlimited Season Ticket will give you unrestricted entry all week round at the most favourable rate, and you never have to pay cash. Do Q-Park's car parks have Park Mark status? Yes, Q-Park has received 59 Park Mark Safer Parking Scheme awards from the police services. This scheme is geared towards reducing crime and danger in car parks. What if my car breaks down in a Q-Park car park? Q-Park's fully trained hosts will be onsite to help, and car parks are equipped with a Jump starter. Can my Q-Park season card be used at multiple locations? No, please contact Q-Park on 0113 238 4263 for more details. How do I know if my Q-Park booking has been accepted? You should receive a booking confirmation via email as soon as your booking is complete. Or click here to use their contact form. Under conditions of maintenance issues, the customer will receive a pro-rata refund upon cancellation. Otherwise, call the helpline for more information. The majority of car parks are 24-hour, check here to find your desired car park's information. The customer service line is 24/7. Q-Park provide safe and secure parking spaces for a total of 74 locations across 22 cities in the UK, including London, Leeds, Liverpool and Glasgow. You can find consistent and convenient parking for an affordable price with your Q-Park promo code, and not have to worry about trailing through a city hunting for spaces. If you’re running late, you won’t give a thought to the frustrating search for a last minute space, if you plan ahead with Q-Park. Q-Park offers a long-term or short-term car storage facility to make sure that your vehicle is safe and out of the way while you disappear on a care-free holiday, or need peace of mind away on a business trip. Save with your Q park promo code and you'll be able to leave the home parking space free for any other drivers in the family, or just rest assured that your car will be protected and secure from damage, break-ins or vandalism. You can get huge savings with a Q-Park Season Ticket, offering regularity, great value for money, and fantastic deals for those who frequently park in the same spot. You can find city-center parking without having to pay those steep metropolitan prices with your Q-Park Discount Code. Whether you’re a business looking to provide easy access to your employees and customers, or a resident who can never find an easy parking spot, make your life that little bit easier with a Q-Park season ticket.